The 34th day of the Premier League closes on Monday night. Watford receives Arsenal. Watford wants to stay in the first part of the painting. Arsenal is aiming for the Top 4. 10th in the Premier League with 46 points on the clock, Watford is having an end to the season with no big stake. The partners of Troy Deeney have won twice in the last 5 days, for 3 defeats. Note that these 3 losses were conceded against the cadors (Liverpool, Manchester City and Liverpool). Last weekend, the team validated its ticket to the FA Cup final by defeating Wolverhampton (3-2 after extra time). Arsenal is currently 5th in the Premier League and conceded 1 point behind fourth place, qualifying for the next Champions League. Last weekend, the Gunners lost to Everton (0-1). This setback put an end to a good dynamic of 6 games without defeat (5 wins and 1 draw). For Watford, the long-time absent Cleverley, substitutes Penaranda and Quina and the important left-back Holebas are unavailable for this meeting, injured. By the way, the success striker Success is uncertain. Arsenal is deprived of important defender Sokratis (suspended), usually the side holder Bellerin and alternates Holding and Welbeck (injured). Uncertainties remain as to the participation of the Swiss international Xhaka. 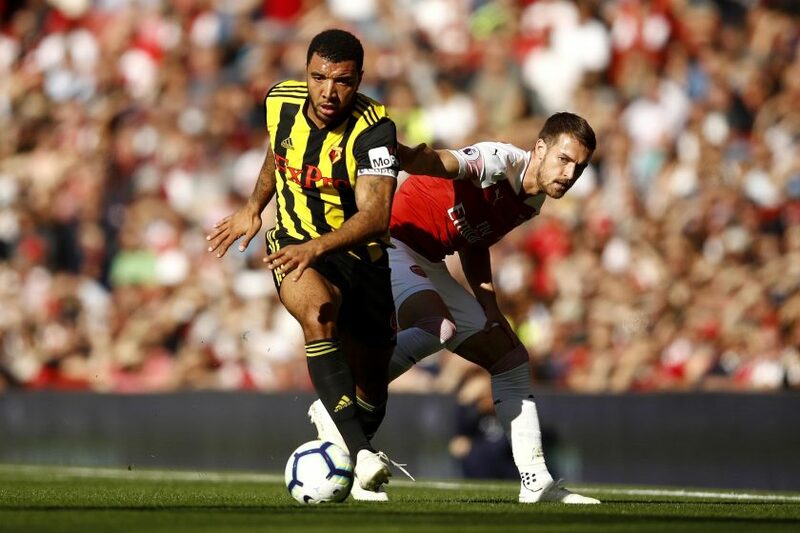 In the first leg, Arsenal dominated Watford at home (2-0). In difficulty out of his bases (10th best record of Premier League away), Arsenal can again be surprised this weekend.